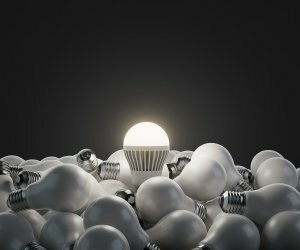 As recently as just a few years ago, LED light bulbs were expensive, which made it difficult for the average homeowner to purchase them. However, the prices for LED bulbs have dropped, so lighting your home with them is now a viable option. Watch this video to learn about choosing the right LED bulbs for your modern light fixtures in San Jose. When you are trying to pick out the right LED bulbs for your home, you should trust your eyes. Different LED bulbs can give off different shades of light, so be sure to pick the one that works best for you. You should also be mindful of the shape of the bulbs in addition to the number of lumens that they produce. Work with a qualified lighting company to pick out the LED bulbs that are best for the modern light fixtures in your home. Are you tired of lugging wood into your home, finding kindling, and going through the entire process of lighting a fire in a natural fireplace? You don’t have to do it anymore. By installing a gas fireplace in your home, you can enjoy all the benefits of having one, and you will quickly find out why it’s a better option than other fireplaces. 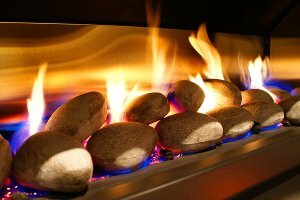 Here are some reasons you should look into having a gas fireplace installation near San Jose done today. Gas fireplaces produce a constant stream of heat. While a natural fireplace will provide plenty of heat once you get a fire going, you will need to keep it going in order to continue enjoying it. As soon as the fire starts to go out, you will gradually feel the warmth die down, and you will have to go about lighting it again to turn the heat back up. This won’t be an issue with a gas fireplace. Gas fireplaces don’t create smoke, ashes, or sparks when you start them. Outside of the fact that you have to build a fire in a natural fireplace, you will also need to be prepared to clean it once you are done. Natural fireplaces can become a mess after just one fire and can also create a large amount of smoke when you light them. With a gas fireplace installation, you won’t need to worry about cleaning up a mess or enduring smoke in your home. Gas fireplaces can help you reduce your energy bills. Because you can turn a gas fireplace on so easily with the flip of a switch, you can use it more often and eliminate the need to use your heating system. A gas fireplace can create plenty of heat for your home and help you cut down on your energy bills . Gas fireplaces look more stylish than natural fireplaces. Even when your gas fireplace isn’t turned on, it will serve as a focal point in your living room. You will love the way it looks and how it changes the feel of your home. In a world where energy efficiency and eco-friendliness are becoming the standard, consumers are drawn to technologies that can make their lives better and can help them save money on their monthly energy bills. That’s why LEDs have become so popular in recent years. They can be used in any light fixture in San Jose , from chandeliers to kitchen lights. LEDs are bright, highly energy efficient, and durable, having lifespans that far exceed those of their competitors. Light-emitting diodes , or LEDs, produce visible light when electricity is passed though a lead semiconductor. Unlike incandescent bulbs or CFLs that rely on heat energy as light sources, LEDs produce a minimal amount of heat, so they don’t burn out. Rather, their light quality and output, or lumens, diminishes over a long period of time. For many years, incandescent bulbs were the norm for home and outdoor lights. An incandescent light bulb produces visible light by using electricity to heat a wire filament. Once the metal reaches a high temperature, it glows hot and incandesces. This extremely hot filament is protected within a glass bulb that’s either filled with an inert gas or that’s devoid of air. In the case of halogen lights, tungsten filaments are used in combination with a halogen element, such as bromine or iodine, to produce a higher temperature, which allows for a brighter and purer light. Since incandescent lights produce so much heat—their energy output is 90% heat—they are not energy efficient, especially when compared with LEDs. That’s why they have been gradually replaced by other lighting sources like LEDs. Compact fluorescent lamps (CFL) were developed to be more energy efficient and to replace incandescent lighting. Like a larger fluorescent tube light, a CFL bulb produces visible light by utilizing electrodes that allow electrical currents to pass between them while surrounded by gaseous mercury. These electrodes are placed at the ends of a long tube. As the electrical current passes between the electrodes, it excites the mercury vapor and produces an ultraviolet (UV) light. When the UV light interacts with the phosphor coating inside the bulb, visible light is produced. This entire process also generates heat—not as much as incandescent lights, but more than LEDs. Since CFLs contain mercury, they’re a bit tricky to dispose of. Ceiling fans in San Jose are assets to homes year round, especially those that function as lighting fixtures or the main lighting sources in rooms. 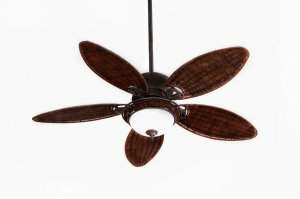 Like a standard table fan, a ceiling fan circulates air by drawing in from behind its blades and pushing it forward. This process creates the direct, cooling breeze that they are known for, which helps lower temperatures indoors and makes air conditioning systems more energy efficient. When temperatures drop, it’s still a good idea to have air circulating, but you don’t want to cool air blowing down on you. Most modern models have switches that control the direction in which the blades turn. In the summer, ceiling fans are set to deliver a direct breeze. This means that the fan’s blades are spinning counterclockwise. In the winter, you should adjust your ceiling fan to operate in the reverse the direction. When the blades are moving clockwise, air is drawn upward. Since warm air naturally rises up, your ceiling fan will be circulating it back downward, improving the overall efficiency of your heating system. Wood-burning fireplaces have been romanticized for many years—the sounds of a crackling fire, the smell of fir and pine, and warm glow emanating from the hearth. Fireplaces just make homes feel comfy and cozy. Add some mood lighting with several well-place light fixtures and you’ll never want to leave your home. Unfortunately, wood-burning fireplaces are not the most economical and energy efficient things to operate, and they require a lot of maintenance. For those reasons, homeowners are converting their wood fireplaces to gas ones. When you’re ready for a gas fireplace installation in San Jose , enlist the help of a trained professional. Since wood-burning fireplaces utilize a chimney flue to direct smoke up and out of homes, they have a tendency to be drafty because chimneys are open chutes that can allow outside air in. This means they can lessen your home’s overall energy efficiency. Gas fireplaces , on the other hand, function more like furnaces in that they are contained systems. And they can heat up rooms more effectively than wood fireplaces, which make gas fireplace installation all the more enticing. One advantage gas fireplaces have over their wood-burning cousins is they don’t require a constant supply of wood to use as fuel. All they need is a direct gas line and they’re set. Wood fireplaces burn wood fairly quickly and need to be fed frequently. If you’re burning wood consistently throughout a winter season, you’re going to go through a lot of it, which can be very expensive—that is, unless you live in a rural area surrounded by trees you can harvest. Another concern with burning wood is the air pollutants it creates. Smoke, soot, and ash result from burning wood. Unlike wood-burning fireplaces that need to be cleaned after every use, gas fireplaces are virtually maintenance free—a quick wipe down with a glass cleaner from time to time is generally all that is needed. If you use a wood fireplace daily, you have to sweep up the ash and soot being produced daily. Burning wood also creates a natural byproduct called creosote, which is a mixture of carbon, resin, and water vapor. Creosote builds up inside the chimneys and can become a fire hazard if chimneys are not annually cleaned.